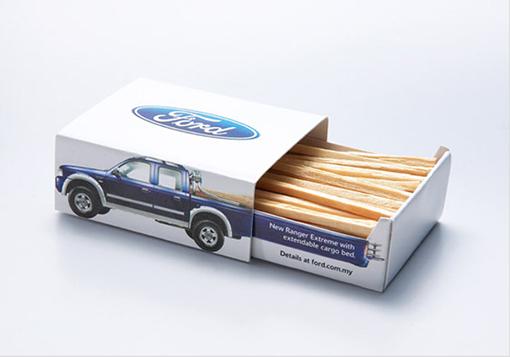 Cost effective, targeted, clever and with a design that focuses on the product advantage. With only 5,000 of these little matchboxes made, they were only given to potential customers in a single pub. The vehicle was sold out a month before they were released.